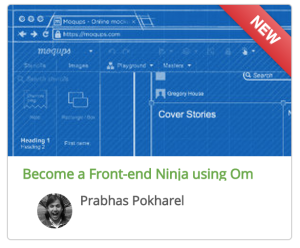 prabhasp » Come make awesome web apps with me! Come make awesome web apps with me! Thats the hook I’m using to get beginner front-end developers in Nepal interested in a new course I’m teaching. How does it sound? This blog post is a brief description of why I’m doing this, so you should apply! If you’re not quite the right audience, either spread the word of give me some feedback. I’ve been working with Clojurescript and Om at my job, and find the tools extremely powerful and fun to use. And I’d love to share the experience! I find these tools are built on extremely solid foundations; making simple things easy and hard things possible . p>Plus, while scratching this itch, if I can connect some talented people to some companies who need the talent, all the better! You can’t teach anyone programming. Like art, you can only facilitate the process of someone learning. 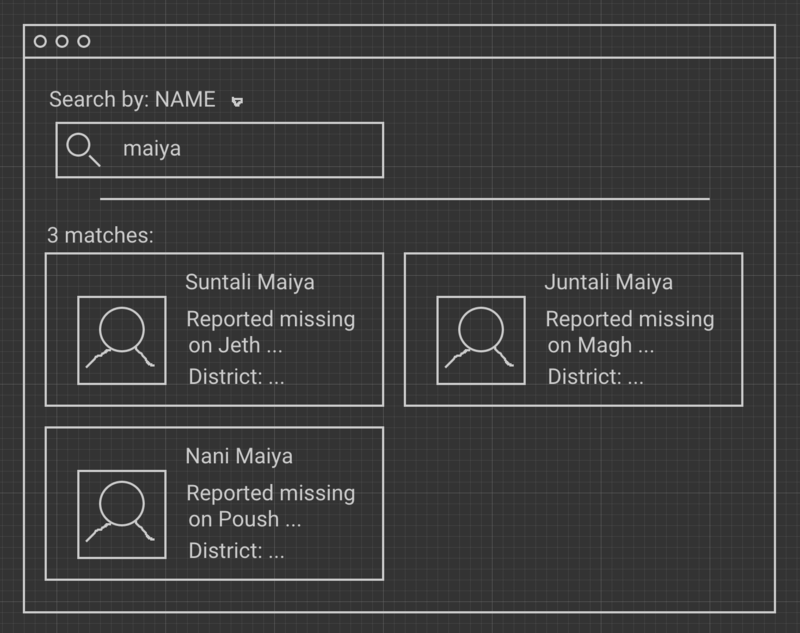 A missing person visualization for a prominent organization working against human trafficking in Nepal. “Where is this tole?” a guessing game for finding toles (or mandirs, or anything, really) in Kathmandu. A data matching tool. Take two school datasets for the Kathmandu valley, sharing only the name, and provide a tool to match schools from one dataset to the other. An early mockup of the missing persons visualization. Interestingly, this mock-up is made using precursor (https://precursorapp.com), which is built using Om and Clojurescript, which I will be teaching. How awesome is that? Of course, participants will be encouraged to come up with their own ideas as well. WHAT EXACTLY will one learn? I’ll go through how to design basic application using OM & Clojurescript, talk about the design philosophies of React.JS and Om, show people some cool Clojurescript tools like hiccup and core.async, show them how to integrate JS libraries like Leaflet with Om, and show whatever else is needed to build everyone’s projects. I’m planning to start on March 27th, hold classes 8-10am on Fridays in Baluwatar, and go for two months. – Seriously, come take this class, and if you are doing well and don’t have a job, I know some people who are looking. – I’m working on a follow up post on “Why learn Om and React.js?” focusing specifically why these technologies are definitely worth learning.